Indeed. The grand canyon challenges (defeats) your ability to comprehend the scales involved. One scale in particular is the time scale. As you are standing on the rim, the rock beneath your feet is roughly 250 million years old. As you raft down the Colorado river at the bottom of the canyon though, you at times travel through rock that was laid down more than 1,700 million years ago. 1.7 billion years ago!! As far as we know, that is before any form of complex multicellular life forms evolved. Can you even imagine what the earth would have looked like back then???? Geological Map of Grand Canyon Wall. 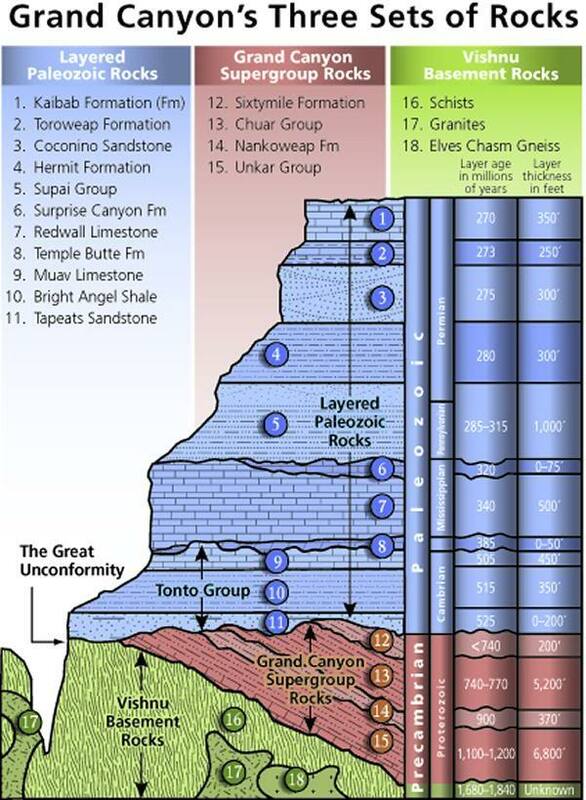 I love "the great uncomformity" in that picture, which is the place where the rock formations mysteriously skip 25% of geological history. Cool! 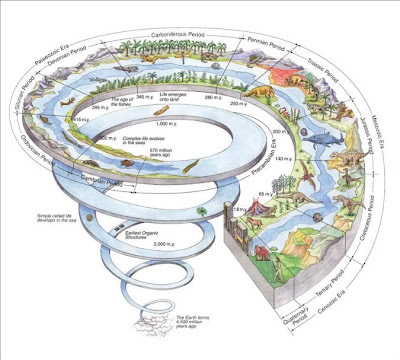 Time Spiral aka Vortex of Incomprehensibility. 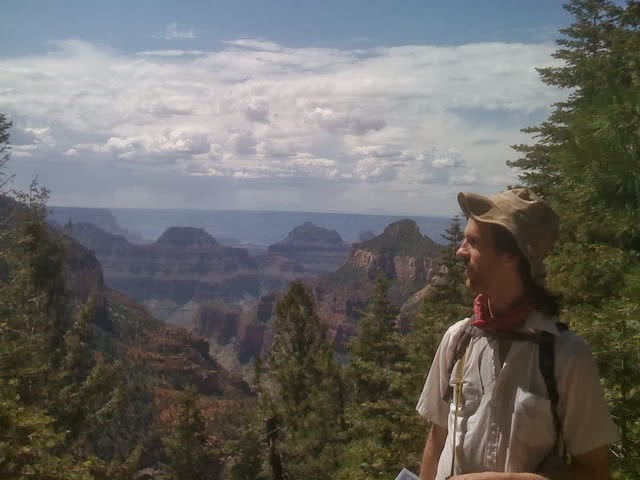 And at the grand canyon, all of this is laid bare for you to take in. You try to imagine that dinosaurs walked the earth when the rock below your feet was laid down, then you walk your eyes down the canyon walls, back through time to the origins of life itself... then you get confused, and with a troubled sense of immensity you look back at the nice pictures with the numbers on them to help you understand, but it is all just so impossible to comprehend. This is tremendous. Don't you love letting yourself get lost in something that seems always to be one step beyond your imagination? I do I do. That's why I love science, because when our brains can't understand things, we can make pretty pictures to help them out. Makin' pretty pictures is where I'm at. The science holds me up.